How do I get to Bailey & where do I park? How do I check my account, reserve and renew books? How do I search for a book or other items? How do I do genealogy research? How do I borrow downloadable audiobooks and/or eBooks? How do I support Bailey Library? How do I ask a librarian a question online? How do I return items after hours? How do I find a magazine or newspaper article? Library Cards are provided free to anyone living in Winthrop or paying property taxes to Winthrop. Additionally, cards are provided to anyone employed or going to school in Winthrop. Cards are required to borrow books and other materials. Signing up for your library card is quick and easy. All you need is identification that contains your current street address, e.g., driver’s license, utility bill, rent receipt or any piece of recently delivered mail, and photo identification. Library Cards are available to non-residents, for a yearly fee of $40. This card entitles the holder to all library services. The Bailey Public Library is located at 39 Bowdoin St in Winthrop, Maine. Limited parking is available on Bowdoin street, Union street and Summer street. There is also a municipally owned parking lot outside Sully’s (38 Main St), which is within easy walking distance. To check your account status or renew and reserve books you need to visit the Minerva Online Catalog. You will need to enter your name and the 14-digit patron bar-code found on your library card. You can search for a book or other items by using the catalog search box located on every page of our website, or by searching Minerva by clicking here. Click here for detailed directions on borrowing audiobooks and eBooks. How do I support Bailey? To help the Foundation support the library to the fullest extent, we offer the following annual memberships. Members will be displayed on our wall of donors in the lobby of the library, and listed in promotional materials and at cultivation events, as long as the membership is active. All members, regardless of level, will be listed in our annual newsletter to the community. 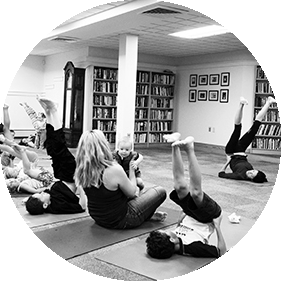 Learn more about the Winthrop Public Library Foundation and become a donor. A great way to support your Library and clean-up your home or office bookshelves is to donate your used materials to the Friends of The Bailey Public Library. The Friends will re-sell your donations at their annual Book Sale. Proceeds from the sale help fund Library projects, activities, and materials not covered by the Library’s operating budget.  Plus, you can become a member of this grassroots organization dedicated to promoting Winthrop’s Library, an essential institution of our community. For many years, the Friends have enthusiastically supported the Library. Search for the book or material desired. Click on the “Request” button. You should get a message saying that your request was successful. (If you didn’t, send an email to ill@baileylibrary.org.) If the item was listed as “Available” it should be here at the Bailey Library in 2-4 business days! We will contact you as soon as it arrives. You should get a message saying that your request was successful. (If you didn’t, contact ill@baileylibrary.org.) If the item is listed as “Available” it should be here at Bailey in 3-5 business days! We will contact you as soon as it arrives. You may request up to fifteen (15) items at a time. The Bailey Public Library has an all hours drop-off for books and media located at 39 Bowdoin St.
Internet access is available at the library in two areas. Computers in the children’s wing are for use by children age 14 and younger, except for parents and guardians accompanying children. Computers in the adult wing are for use by individuals age 17 and older, except for children accompanying a parent or guardian. Computers in the teen area are for use by individuals age 13-19. Membership at the Bailey Library is not required to use our computers. They are available on a first-come basis. Time on the Internet is limited to 60 minutes on the adult floor and 30 minutes on the children’s floor when others are waiting. We have a few ways you can achieve finding a magazine or newspaper article here at the Bailey Public Library. 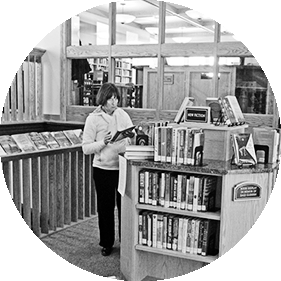 Members can check our catalog and see what periodicals we have here at the library. Or you can do a search online through the many databases that the Marvel program we subscribe to offers. There is also the Ebsco database (which is part of Marvel) that has entries from over 3,000 magazines and journals. And if all the above doesn’t work please remember you can always call for help at any time, 207-377-8673.